Google said Wednesday (Nov 7) it is making strides in helping internet users legitimately get songs, films and apps while choking off revenue to websites with stolen digital content. A 64-page report released by Google claimed progress in the war on piracy, but also noted a new battlefront in the form of "add-on" software that can be installed on legitimate open-source media players such as the Kodi box to illicitly stream copyrighted content. "Combating illegal streaming on open-source media players like the Kodi box shows both the challenge and the importance of a balanced approach in the fight against piracy," Google said in the report. "Pirates have created add-ons to enable Kodi boxes to access infringing works." Set-top boxes with suspicious add-ons are removed from Google Shopping, while apps with pre-installed "Kodi add-ons" giving access to pirate sites are removed from the Play Store, according to the internet firm. 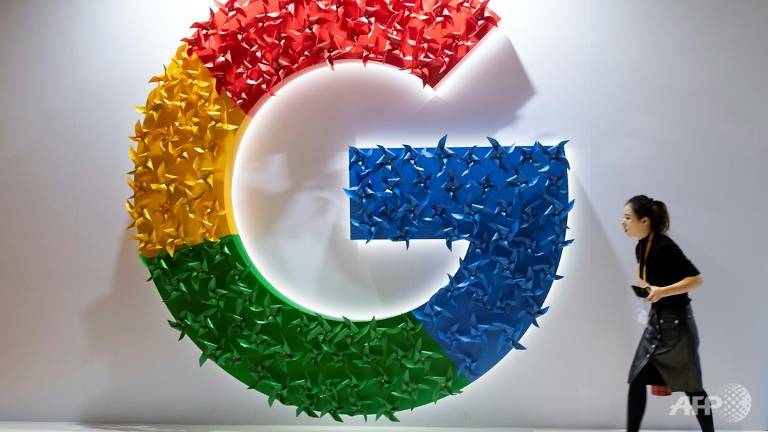 "Successfully decreasing incidents of copyright infringement has required providing more and better legitimate alternatives to infringing content, as well as more effective tools for combating piracy," Google said. A YouTube "Content ID" tool creates digital fingerprints of sorts of copyrighted content and then automatically detects it online, allowing owners to have it removed or monetized. Websites involved in piracy are "demoted" in search results and cut off from Google's online ad platform, according to the report. "One of the most effective ways to combat rogue sites that specialize in online piracy is to cut off their money supply," Google said. Meanwhile, a "Google Play" online shop for digital content bans apps that "infringe copyright, encourage illegal streaming, or attempt to deceive users by impersonating other apps." Google also told of taking aim at copyright-infringing ads with "considerable" resources. The California-based tech giant said that last year it rejected more than 10 million ads suspected of infringing copyrights or linking to websites that did. According to the report, Google-owned YouTube paid more than us$1.8 billion to the music industry from October 2017 to September 2018. Digital video revenues are expected to soar from us$64 billion last year to us$119 billion by the year 2022, while global music streaming revenues more than doubled from 2015 to 2017, according to the report.